All My Movies Manages Your Movies Collection at a New Level of Quality! Bolide Software Announces Version 3.7 of "All My Movies"
Bolide Software announces today the release of the newest version of "All My Movies". This is a movie database manager, which simplifies your life of a movie lover and brings comfort into movie management process. Its easy movie details import from online movie database will give you more time to enjoy your favorite motion pictures and find out what it feels like when the whole movie world is yours. With "All My Movies" in place, you can easily protect your movies database with a password. This prevents your children from watching movies with violent or explicit content. Moreover, the manager lets you capture snapshots directly from your DVD's or AVI files and save them to your movies database. You can also import a large cover image from a huge online database, so there is no need to play the movie one more time to make sure you have already seen it. "All My Movies" provides you with an easy way to share your movies database with your friends. You can export and import your movies data with a remarkable ease. HTML files are used for export and various other formats for import. This manager will tell you if you have already given a movie of yours to your friend, but he forgot to bring it back on time. In addition to these features, the new version has been meticulously improved. Now you can use the mouse wheel to scroll your movies list and paste a screenshot or a cover image right from the clipboard. What's more, the program has a multilingual skinnable interface, which is really pleasant to work with. "All My Movies" is simple and elegant," says Rodney St. John, one of the customers. "I don't want to say that All My Movies is not powerful by any means, because it is powerful, All My Movies blends the right amount of features with ease of use. I'm telling everyone I know about All My Movies." Easy movie details import from online database. Ability to add DVDs using UPC/EAN barcodes. Import of movie collection data from files of various formats. Fast movie search by any of the database fields. Export of your movie collection to HTML. Password protection of your movies database. "All My Movies" runs under Windows 98/Me/NT/2000/XP and costs $29.95 (USD). You can download an unregistered version of the program with the evaluation period of 30 days for free. Here the HTML export option is limited. When you buy a license and register your copy all these limitations will be removed and you will be able to use your free technical support and free update options. The free trial version of "All My Movies" is available at https://www.bolidesoft.com/software/amm_setup.exe. Bolide Software is a software development company, which specializes in the development of high quality software solutions for multimedia. The company was created in 2001 by software engineer Max Smirnoff. Bolide Software is the author of such popular titles as "All my photos", an easy-to-use digital photo album, and "Image Comparer", a smart utility to search for identical images. 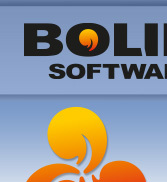 For more information, visit https://www.bolidesoft.com. All My Movies - Great program! "I started using "All My Movies" when the company was fairly new.... It is a great program and the support from Max is top notch."